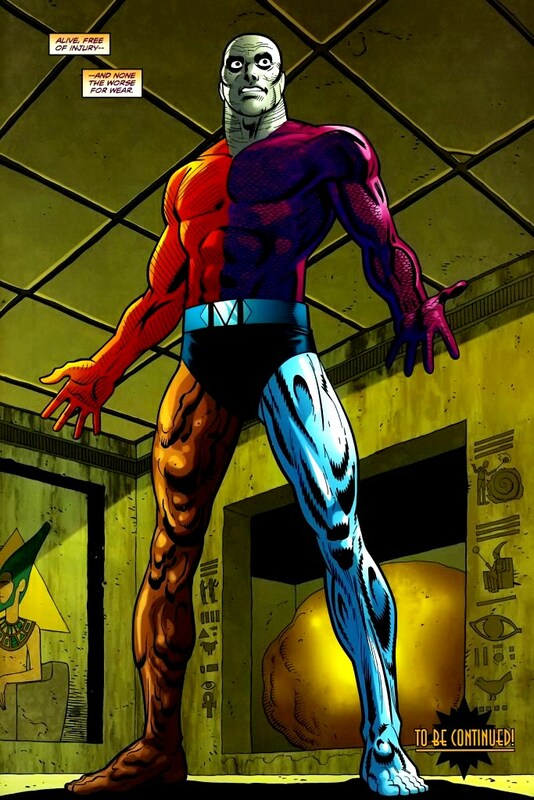 Suggested by iKnowledge Metamorpho is a pretty strong opponent who has actually gone up against the Justice League in the past. His ability to use all of the elements makes him a very versatile threat. 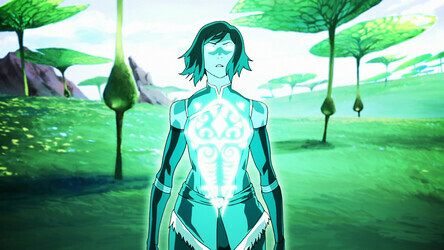 He is rather similar to Korra in that respect, but she has the edge here. In her ascended state switching between the elements is very easy. Her offensive capabilities are greater than Metamorpho’s and he will just have a tough time focusing on his attacks when she is blowing him all over the place with her impressive air abilities. Korra wins. This entry was posted in Battles, Korra Battles, Metamorpho Battles and tagged Korra, Metamorpho by dreager1. Bookmark the permalink.